After all the excitement, anticipation, planning, and preparations for your wedding, it’s time to take care of the beautiful wedding dress you found. Whether you want to get it cleaned and saved as a keepsake, or preserved to pass down to the next generation, we are here to help! Did you know that most wedding gowns are so intricate, detailed, and delicate that many cleaners won’t touch them? Wedding dresses need extra care during cleaning to protect the luxurious fabrics, beading, lace, and jewels. 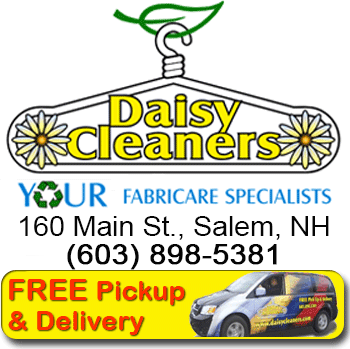 People travel from all over New England to bring their gowns to Daisy Cleaners because we are the leading wedding gown cleaning specialists! 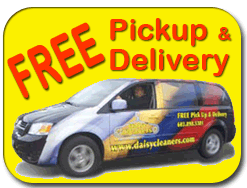 Daisy also preserves and restores christening gowns, first communion suits and dresses as well as antique family heirlooms from shoes to baseball uniforms. Learn more about restoration & preservation here!